The "Mariner" "Romantic" & "Extravaganza" Lobster Dinners! Home > Mother's Day Dinners! > The "Mariner" "Romantic" & "Extravaganza" Lobster Dinners! These Are True "Down East" Lobsta Dinners! Choose from any one of our great dinner options for yourself or for a great Gift Idea! 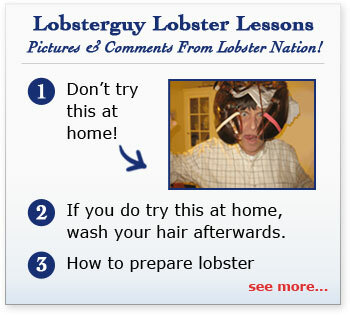 All of our LobsterGuy lobster dinners are hand packed with quality and care and delivered overnight just for you! The "Mariner" Lobster Dinner for Two! The "Mariner" Lobster Dinner for Four!